South Chase community in Jacksonville, Florida. Ideally located in one of the fastest growing areas in Southside, South Chase is just minutes from Jacksonville's best shopping, dining, schools, golf courses, entertainment and the pristine beaches of the Atlantic Ocean. The community is located right next door to two top rated schools at Twin Lakes Elementary School and Twin Lakes Middle School. Quiet curving streets, conservation or lakefront homesites, low homeowner's association fees, convenient location and walking distance to neighborhood schools are just a few of the many reasons why South Chase is sought after by many residents. 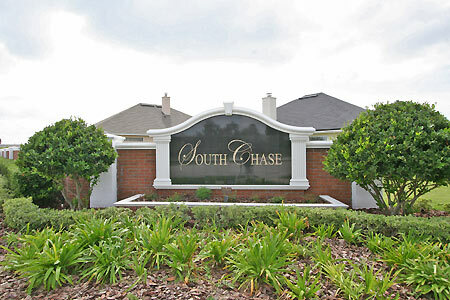 Call today at (904) 307-8998 for your personal tour at South Chase.